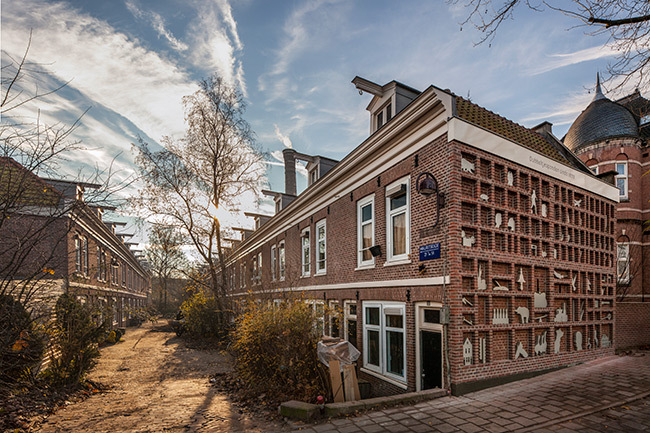 The ‘dime houses’ from 1870 were one of the first social housing projects in the Netherlands. 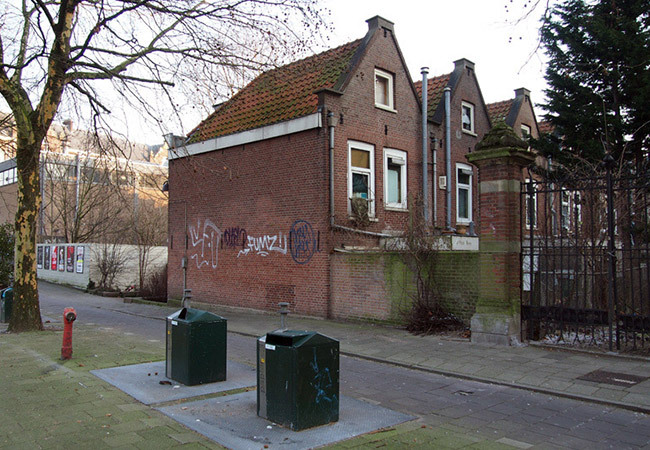 They are the result of a group of idealistic workers who, by asking a dime a week for membership, founded in 1868 the Building Society for Home Ownership (BVEW). 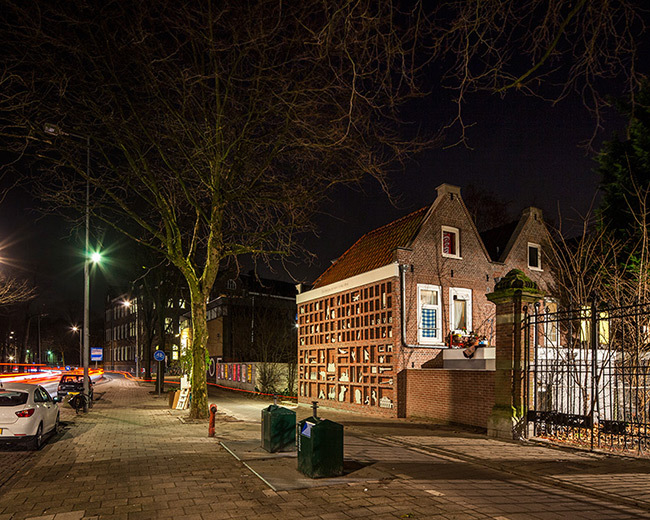 The little houses are situated perpendicular to the busy Mauritskade and were hidden behind a blank wall. 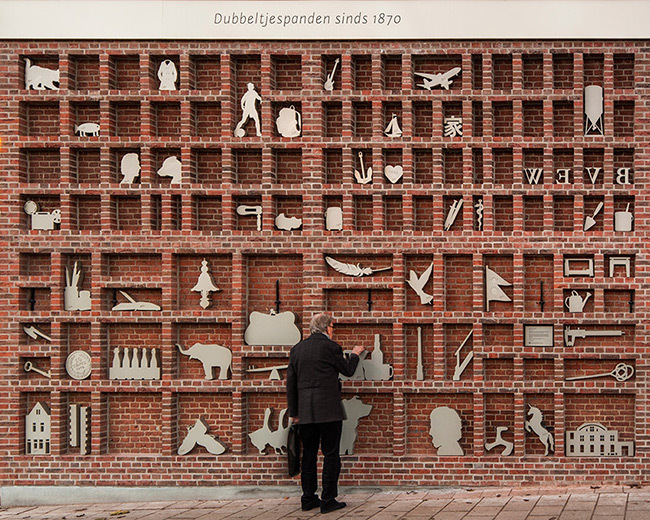 To give the passersby a sense of the intimacy of this small dead-end street and to make them curious to the particular history of the dime houses, artist Marjet Wessels Boer transformed the blank wall into a magnified brick type case. 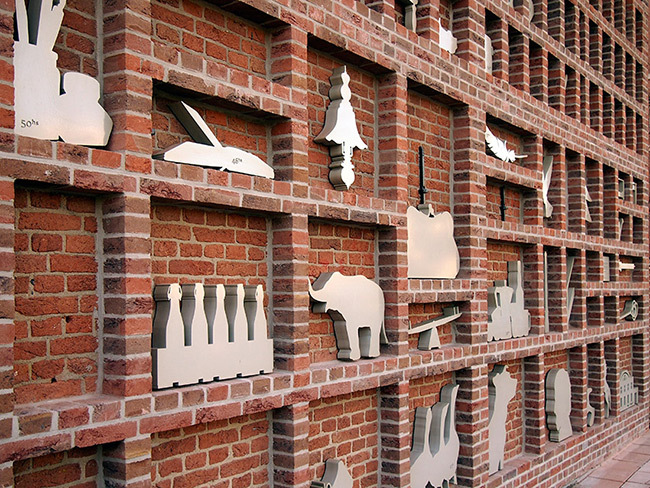 Originally a type case was used by a typesetter to store type. In this way, the work refers to the newspaper that the BVEW released to raise members for BVEW. In more recent times a type case is primarily used as a display case in which souvenirs and objets trouvés are proudly shown. 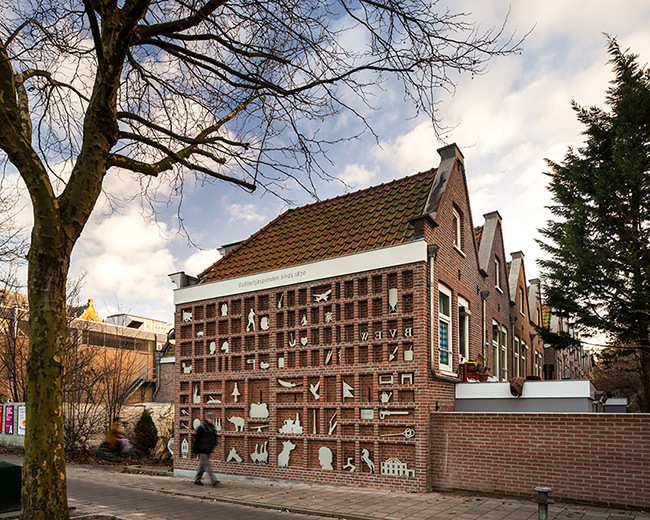 This work is supported by the AFK (Amsterdam Fund for the Arts).